For families and travellers looking to experience a tranquil luxury camping holiday, C'era una Volta is the perfect choice. Nestled within forested hills near Villanova d'Albenga, the site is a perfect place to unwind with simple comforts like a swimming pool, sports and hikes. 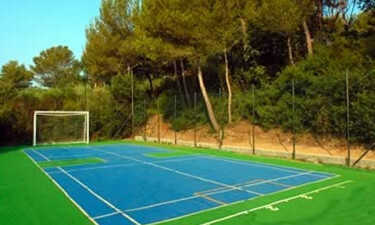 Located 6 km from Alassio on the "Italian Riviera", there is much to enjoy in the area. Located in Liguria, C'era una Volta offers secluded mobile home accommodation with natural shade and foliage. 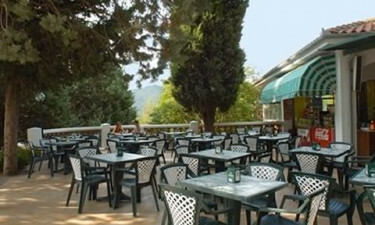 This luxury camping site is set within the hillside and boasts impressive views over the Mediterranean landscape. With many excursions in the area such as whale watching, local cave visits, coastal villages and cultural sights, C'era una Volta is a tranquil base for exploring the Liguria area. Book your next camping holiday at C'era una Volta through LuxCamp. Why choose C'era una Volta? Evening entertainment at peak season. With two pools surrounded by luscious greenery, mountain scenery, flowers and trees, you can't help but relax here. C'era una Volta offers an aqua gym to stay in shape and kids are bound to enjoy their very own slide and paddling areas. Just 6 km from Alassio and the Italian coast, you can be dipping your toes and basking in the Mediterranean sea after a short car or shuttle bus ride. Sandy beaches and long walks await on this jewel of a shoreline.